SATO Corporation has launched its automated blood bag tracking and management solution in the Asia Pacific, featuring RFID technology to ensure fast and efficient delivery of blood from donation center to bedside transfusion. Through real-time tracking using RFID technology, the SATO Blood Safety Solution provides authorities with improved visibility on the inventory of different blood types at hospitals and can easily enable the supply of blood needed. Traditional blood bag tracking is often time-consuming, with multiple steps, and manual data entry is error-prone and can result in further delays. Using RFID technology improves the logistical management of blood, and can mean the difference between saving or losing a life. The SATO Blood Safety Solution incorporates SATO’s Phase Jitter Modulation (PJM) RFID and 2D code printing technology, allowing large volumes of tagged items to be quickly and accurately identified – especially designed for dynamic situations where items are stacked or stored in any orientation. 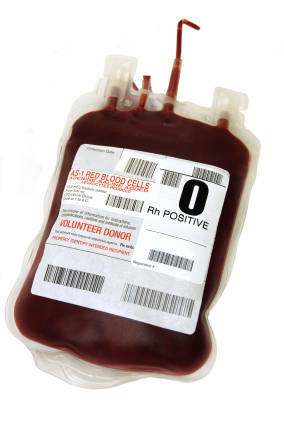 With this solution, integration to current blood bag management systems can be achieved through investments into software that works with RFID Tunnel Readers, RFID Smart Blood Fridge, RFID/Barcode printers, and RFID tags for blood bags.